QSTONE specially engineered high quality quartz mixed with an advanced resin that makes it highly resistant to wear, cracks, impact, and stains. Q Stone is perfect for a variety of applications as it maintains the stylish aesthetic of marble however is far more durable. When people use pure marble for their homes benchtops, splashbacks, floors etc. they soon often come to a realisation – it’s not stain or damage resistant. Many people will testify to the night they spilled red wine or food dye on their new marble bench top, only to find out how difficult it is to get it clean. This is due to the softness of marble, which makes it porous and therefore, susceptible to stains. With QSTONE material, the special engineering and additive of quality resin makes it incredibly resistant to these concerns, and it can be used for a wide variety of applications in homes and in commercial spaces. All spills should be cleaned asap to reduce the risk of staining. Going back to what was said prior, QSTONE quartz is stain resistant. Beetroot juice, red wine, food dye, nail polish: our specially engineered quartz is perfect for reducing stains from these annoying liquids, as it is a hard surface and doesn’t pore easily. Not only this, but QSTONE quartz is crack and scratch resistant, meaning if anyone was being lazy and decided to do a bit of cutting on the benchtop, it would be much less susceptible to becoming scratched-up than its marble counterpart. 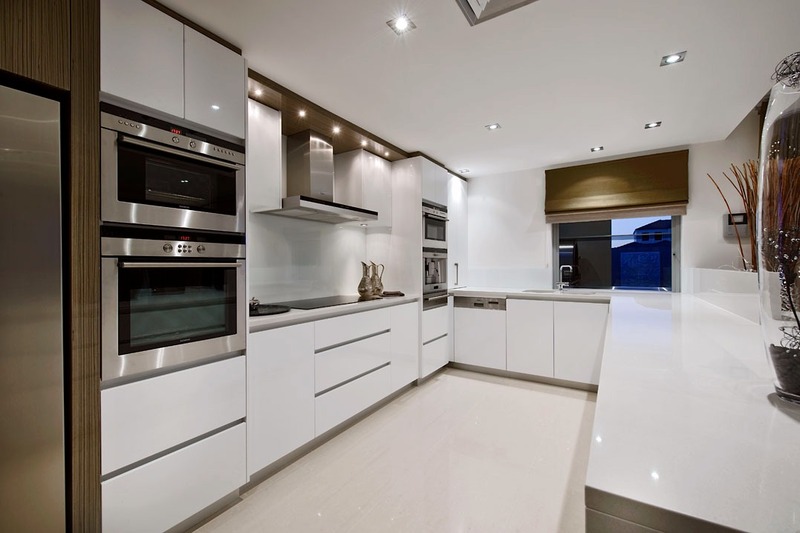 Pretty much following the same concept as the above mentioned, but the durability and resistance of Q Stone quartz make it a great material for splashbacks. For a stylish and elegant look in stores or office spaces, QSTONE quartz is a winner. With a beautiful array of designs and colours, QSTONE has an awesome selection of beautiful quartz that take any store or office space from tired and uninviting to vibrant and welcoming. Do these three applications sound like something you would for home or commercial property? They’re just the start, our specially engineered quartz also works for flooring, wall cladding, and furniture. If this is something you would like for your space, get in touch with the friendly team of experts at JH Wilberforce today by calling (08) 9340 6222 or by filling out an enquiry form on our contact page.